** We recommend you having a 10 minutes call with us to completely understand the program before buying the tickets ** Please call 203 402 9520 or aGVsbG8gfCBodW1iaSAhIG5ldA==. Thanks. If you are small business owner, individual consultant or an Entrepreneur with any of the challenges below. Above all, you need to accomplish a critical business task and have no clue Where to Start and How to get it done. Please proceed reading further. 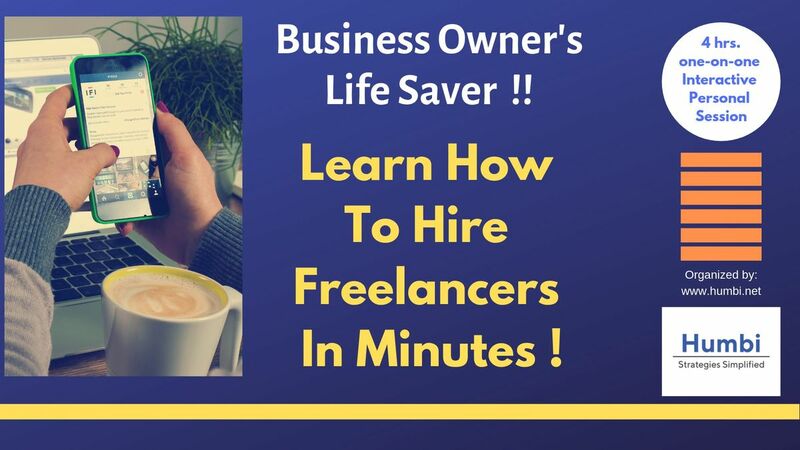 You get a 4-hour Personal coaching on hiring Freelancer. This session would be completely interactive with a pre-defined course structure and Step by step detailed explanations with real world example. You can ask questions anytime and discuss all your real time challenges to see how we can help you. 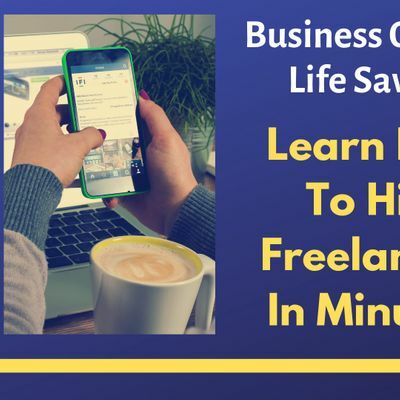 You would be shown live on how to create job request and hire people from anywhere across the globe. Bonus: After the Event, you would get 2 hrs. phone consulting for any support or questions related to your hiring. After this Program, you can start doing the below on your own. Writing Articles, Blogs, Emails, Press Release etc. Hari, has around 20 yrs. experience with Business and IT consulting. He has hired more than 100 freelancers to get variety of jobs done including digital marketing, social media support, web development, mobile app development, blogging, content writing, data management projects etc. Element Irvine Open House - Featuring MMB Networks.